Peter Kent, PC, MP is a Conservative member of parliament for the riding of Thornhill, and the former Minister of the Environment in the 28th Canadian Ministry. Peter Kent came to MediaTown with hopes of having his website redesigned to help promote himself in the coming election. Having past experience dealing with political candidates before MediaTown quickly jumped aboard. In the end, MediaTown constructed a functional website that integrated his campaign’s social media efforts, aimed at providing out-reach to future voters. 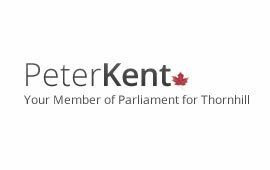 Peter Kent was later elected in 2008, and still serves in the House of Commons today, continuing to utilize the social media integration provided by MediaTown.